Click on the video link for a personal tour of this fantastic country residence with sprawling remodelled bungalow on 2.5 acres only 20 minutes from perimeter. Over 1500 square feet of modern living space! Beautiful vault ceilings overlooking living room, kitchen and master bedroom. Walk in closet plus 3 piece ensuite off master. Basement is finished with rec room, extra bedroom and office as well as large storage area. There is a deck off the dining room over looking the beautiful back yard which has a vegetable garden, fire pit, and shed, backing on to your own private little forest. 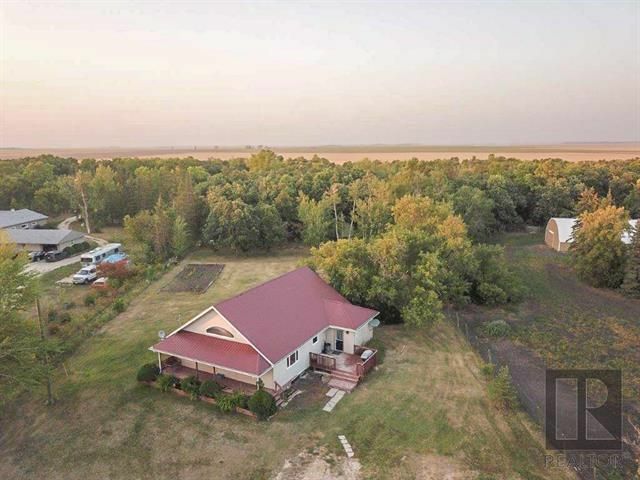 Enjoy the tranquillity of country living only minutes from Winnipeg!